The woman who answered did not have my mother’s voice – that sound that is more familiar to us than the throb of our own heartbeat. The woman who answered was not my mother because she didn’t sound like my mother. 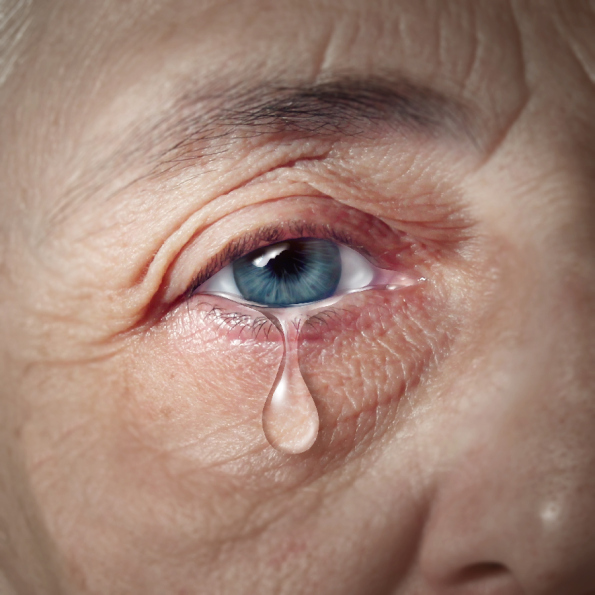 It wasn’t until this woman said, “darling” with a slight, familiar lilt that it hit me. This was my mother only her voice was the voice of a dying woman. It took a lot of arguing with the nurse (Oh, no, dear, of course your mother isn’t dying!) and the doctor in charge (No, your mother isn’t dying.). But finally, he admitted to me that, yes, her organs were shutting down, and yes, she was very likely dying. The grief was uncontrollable. It overtook me as I stood in line at the bank. It swept me out to sea when I went out to collect the mail. It engulfed me as I fell into sleep. But what it never did was keep me from celebrating her life, and in the process, celebrating mine. How will this change in your life increase your connection to your art? Are you willing to use your art to find your center in the midst of the grief, loss, and change? Work on a piece that lets you tunneling down into the very atom of your emotions. Work on piece that gives you a ten thousand foot perspective of your emotions, from on top of the Himalayas. 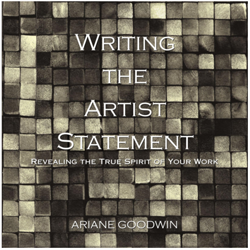 How could you use your art to confront the ultimate loss: your own death? …where this remarkable psychotherapist gives you a beautiful process to help you process any grief or loss that enters your life . 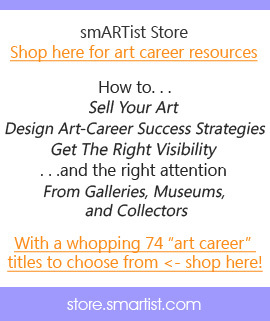 Add It To Your Art Career Library! P.S.S. I almost forgot, Guillermo is also a visual artist! Besides Guillermo Cuellar’s psychotherapy practice of 33 years, he also co-directs the Center for Creative Consciousness, a non-profit organization working with groups, and individuals interested in using creativity and the arts as a way to communicate and develop long lasting, sustainable change. Originally a native of Bogota Colombia, Guillermo has lived for the past thirty years in the Pioneer Valley of western Massachusetts. Great post, art can help us find ourselves when we are lost in the midst of grief and pain if we allow ourselves to go there. I know my art helped me through my own grieving when my first wife died after 5 years of marriage and us both in our late 20’s. Thanks Ariane! Wonder-ful to hear how you were able to embrace your art on your journey through grief – thank you for affirming this possibility for others, Mark. Loved your comment on how it didn’t keep you from celebrating her life. My art is totally about celebrating life stories. I especially love to do them as memorials; families have a lovely piece of art and a keepsake filled with memories of their loved one’s story that can be enjoyed now and passed down to future generations. Using art to celebrate life stories! Sure hope you are opening up the entire flow of your art career to those who would resonate with such a gift! After losing my young daughter (50) to recurring breast cancer, I was sad, angry and really restless after her illness. I threw myself into my painting. Painting gave my mind a rest from the endless grief I was experiencing. When grief comes my way I head to my easel. My deepest sympathies, Ellene. And good for you for letting your connection to your art deepen in such a meaningful way. When our oldest son, Chris, died at 35, I couldn’t paint at all. All I could do was knit incessantly to keep busy while I spent time with my fellow artists where I have my studio. At the three month mark I noticed 57 sheets of watercolor paper I had put back and decided to paint the flowers he had loved. I started and literally painted all 57 sheets nonstop. I was more at peace but really tired! This started me on the road to healing. What a great story, Johanna, in the midst of such sorrow. Thank you for taking the time to share this with us! I have been working now for 15 years on a portfolio called “Memories” which deals with my life as a baby survivor of the Holocaust. I am going now through a divorce after 50 years of marriage. They say that divorce is second only to death, it sure feels like it! However, the best artworks, in this difficult portfolio, has been created during time of crises in this marriage and I just put together a DVD of 55 pieces in this portfolio which finishes this project of 15 years! Side note, the portfolio includes 3 artists; My mother’s, Miriam shavit who was a death camp survivor, my work and a photographer friend, Cole Thompson, who photographed Auschwitz and Birkenau in an incredible spiritual way. Without the ability to continue to create I will not survive this! Oh, Vered, such a testimonial to the inherent healing power of art. For you to embrace the creative in the face of the destructive is to embrace the paradox and the mystery of all life. Thank you dear Ariane for your commentary. I have recognized the power of Art to heal, for many many years and I am not a spring chicken so to speak. My dear mother, who was an incredible artist, created literally until the last days of her life! I feel so lucky to have inherited her work and have the honor to show it now with my work! I happened upon this post at exactly the right time, as my grandmother is in ICU. Thank you for sharing your insights. If your grandmother chooses to transition at this time, you can give her no greater gift than the loving presence of holding her in your own creative light. No matter her condition, some part of her will be very aware!